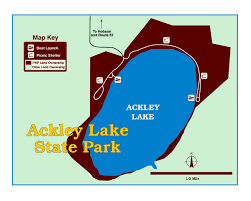 Ackley Lake has 15 campsites each with a picnic table and fire ring. Vault toilets and 2 boat ramps, but no water. 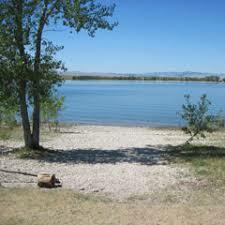 Ackley Lake activities include boating, fishing, swimming, hiking, wildlife viewing, and picnicking. $24/night fee for non-residents. Free for residents. 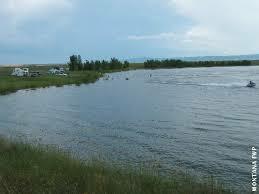 14-day maximum stay Open all year round. 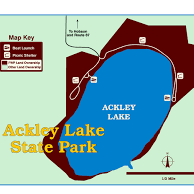 Directions: To Ackley Lake State Park travel 17 miles West of Lewistown on US Highway 87 to Hobso, then 5 miles South on Secondary 400, then 2 miles Southwest on County Road.